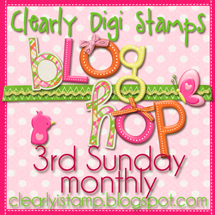 Clearly iStamp: Sunday Blog Hop Winner! We have a winner of our December Blog Hop - congratulations An'Jenic of AJ Scrapbooking & Cards, your name was chosen from DT member Sarah Nelson's blog, Handmade with Love by Sarah. Wow woo whoo. LOL =) Thanks so much for the random pick. I see some digis I want. Thanks so much, Merry Christmas and a Happy New Year!